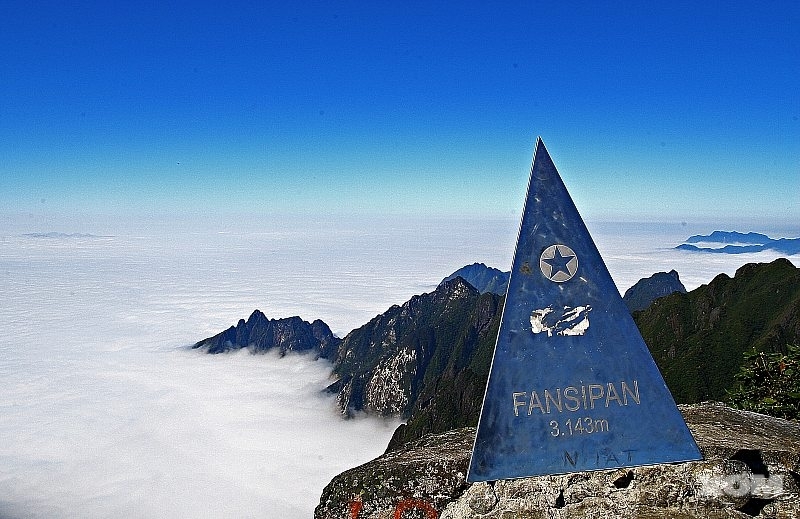 Vietnam's highest mountain, Fansipan (3143m) lies within the reserve boundary, less 5km as the crow flies from Sapa but an arduous three-to five day round trip on foot. The usual root starts by descending 300m to cross the MuongHoa river, and the climb almost 2000m on overgrown paths through the pine forest and bamboo thickets before emerging on the southern ridge. The reward is a panorama encompassing the mountain ranges of northern west Vietnam, south to Sonla province and north to the peaks of Yunnan in China. The train arrives at the Lao Cai train station at approximately 06:00. After meeting a guide at the Lao Cai railway station, transfer to Sapa. The drive to Sapa is only 33km but it takes around 1.5 hours to make our way up the mountains. Arrival in Sapa, have breakfast and freshen up at hotel. 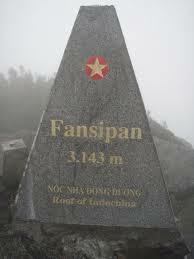 Start the trip to conquer the roof of Vietnam and Indochina - Fansipan peak. At about 09:30AM, drive to the highest pass in Vietnam - TramTon Pass located at 2100m above the sea level (17km by bus). Visit Silver waterfall before reaching the pass. 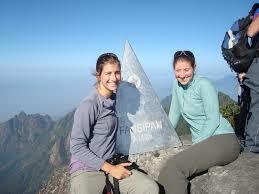 Spend your time enjoying marvelous nature and then start the strenuous trek to the peak. After roughly 6 hours through the primitive rain jungles, many small streams and bamboo forests… You will have managed to reach a top of 2200m and at this point, make tents, prepare for dinner and spend the first night in the mountain. Breakfast at the camp and then continue climbing to the summit by way of pine and yellow bamboo forests. After 4 hours, you will successfully conquer the roof of Vietnam. Spend 1/2 or 1 hour enjoying the splendid landscapes from around the mountain, at this virginal roof of Vietnam and Indochina is a specious chance for you to enjoy watching the surroundings: to the North-West is small village areas belonging to Laichau province, the splendid rolling mountains; to the North East is the overall picture of Sapa town which is only seen from here. Have lunch and then return down to the same point for second night in the mountain. Dinner at the tents. After the last breakfast in the mountain, take another way to go down to the foot of Mount where to visit and get understandings of the lifestyles, the traditional customs of the people in a village of the Black H'mong called SinChai, then take bus back to Sapa (18km by bus). Lunch and check in hotel. Free to explore Sapa town. In the afternoon, transfer to Laocai Station for the night train to Hanoi. The guide sees you off at Lao Cai train station and takes you on the train. Overnight on train. Overnight on the train. Arrive in Hanoi early morning next day, around 05:00AM, please take a taxi to your hotel. End of tour.